It’s undeniable that there’s something special about a pizza hot from a wood burning oven, but one might too occupied with the delicious experience of consuming it to give it much consideration in the moment. In the interest of solving the mystery and offering solid information for those in want of answers, we’ll delve into the thermodynamics and special chemistry behind that glorious experience. 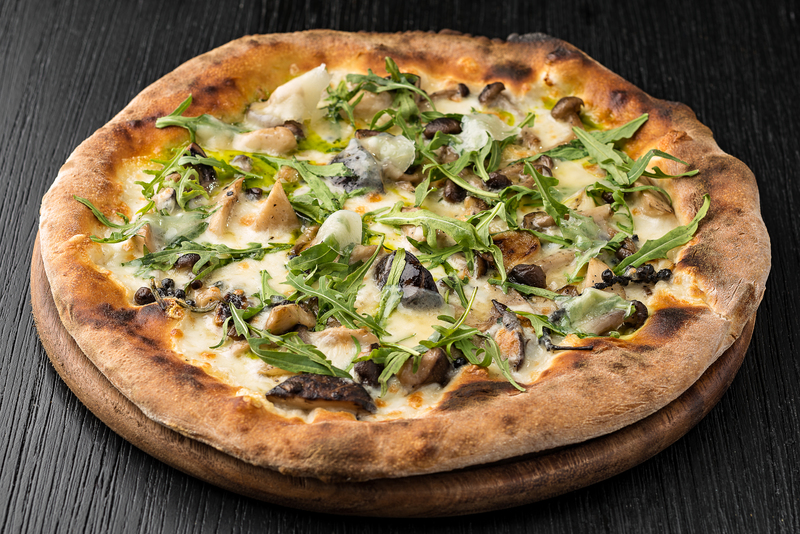 Pizza as we know it today is a relatively recent invention—developed by an enterprising Neapolitan chef in the late 19th century. Pizza Margherita is one of the earliest recognisable pizzas, with soft, fresh mozzarella, fresh basil, and tomatoes, but it comes from a long tradition of topping flat bread with various items. Italian fishermen are one group who particularly enjoyed this satisfying fare for centuries. That’s right, we said centuries. What’s more is that many cultures over millennia have enjoyed flat breads, topped with various ingredients. Bread has been around for quite some time—many thousands of years longer than pizza of any sort. While archaeological evidence indicates that fermenting technology was first used to create alcohol, bread was a natural by-product of this particular human genius. To bake it, communities used ovens. At first, these were pit ovens—holes in the ground lined with stones over which a fire was built and allowed to burn down before food was deposited to cook. It wasn’t long before humans developed above ground counterparts—built of stone, mud brick, masonry, and even adobe in the case of the horno. Until quite recently, these ovens were heated with one method—burning wood, charcoal or some other substance. While they’re extraordinarily convenient for home use and preserving wood resources, modern convection or convention ovens just don’t impart the same flavour to cooked foods. Convention and convection are two methods of heat transfer that most ovens use today. The former relies on a heating element in the bottom of the oven, and the heat rises accordingly. The latter uses forced air from a fan in the back or top of the oven unit to distribute heat in a top-down fashion. While both of these methods are more than adequate for preparing food, they’re missing some key components of chemistry that formed a large part of the eating experience since the first hominine harnessed fire. Plus, they distribute heat differently and to different degrees than a wood fired oven. For many millennia, those wood fired ovens were built not to precisely distribute a controlled amount of heat, but to get food cooked, holding heat in however possible. They consist of a domed ceiling—usually plaster over masonry for its excellent insulating potential—and a single baking floor. Here, a fire is built, fed, and stoked until experience tells the baker that the temperature is just right. The embers are then pushed to the sides to make room for the food. Those bakers also had the experience to know where the hot and cool spots were within the baking chamber. Placing food—bread, pizza, or a lasagne—directly within or in close proximity to these spots will impact the cooking time and even consistency of the final product. So, what is so special about pizza that comes from these ovens? They spend no more than three minutes within the infernal confines. What could possibly happen in so short a time? It turns out, quite a lot. The wood or charcoal used imbues the food with a special chemical cocktail that is irresistible to the human palate, which is also present in grilled meat and vegetables, foods cooked in ground ovens, and other charred edibles. Then, there’s the fact that a whiff of char on your crust only enhances its beauty. It’s a similar experience to eating freshly baked naan or pita. The perfect wood oven pizza will have a crisp, but tender crust, which is fully cooked throughout. The sauce will be minimal and the toppings perfectly balanced to deliver a pleasing experience with each bite. However, let’s go back to the kitchen and take another look at what goes on in the oven. This is where the magic happens, after all. The fire built and nurtured within the oven does something special. While the domed roof of the oven retains and allows for distribution of heated air--getting as hot as 660 degrees Fahrenheit—the baking floor upon which the embers rest remains slightly cooler. While the majority of the embers are cleared from the floor of the oven, a small fire is kept burning to maintain the high temperatures throughout the day. How does this impact the quality of your pizza? First, the high temperatures allow for swift baking of the crust. This produces crisp, tender bread because the bottom of the crust is sealed quickly, in a similar way to seared meat. Moisture is retained without creating the soggy bread that can sometimes result in a conventional oven. Most pizza chefs will bake their orders for less than the three-minute maximum, since not everyone enjoys a superlatively crunchy, slightly charred crust. That’s a part of the unique flavour profile, but it’s not the whole story. When the components of your pizza are cooked at such temperatures, they will taste different than they might with longer cooking and less heat. If you’ve ever wondered why a pizza master will finish a pie with a drizzle of high quality extra virgin olive oil, it’s because the heat of a wood fired oven destroys the delicate bouquet of the oil. Hence, it’s not an ingredient in the pre-cooked pizza. However, in other ways, the high heat and natural convection currents of the wood burning oven crisp vegetables, preserving essential nutrients typically lost during longer cooking. Additionally, while the cheese itself doesn’t burn, the smokiness imbued during its time under the dome enhances its natural umami profile, allowing you to taste the full array of richness with each crisp bite. The beauty of the wood fired oven is that it can produce many pizzas in quick succession, the baking floor accommodating several at once. While pizzeria ovens in many places use a conveyer system that moves the pizzas along beneath heated coils, this method is less desirable. Pizza baked in the traditional way is incomparable, offering a signature experience of flavour and texture available from no other method. While many no longer have the luxury of owning a personal wood fired oven, traditional Italian restaurants understand the appeal of methods used for centuries when it comes to preparing exquisite fare for guests. Attention to detail, time-honoured methods, and quality ingredients come together to create a simple yet ultimately satisfying Italian gustatory experience. 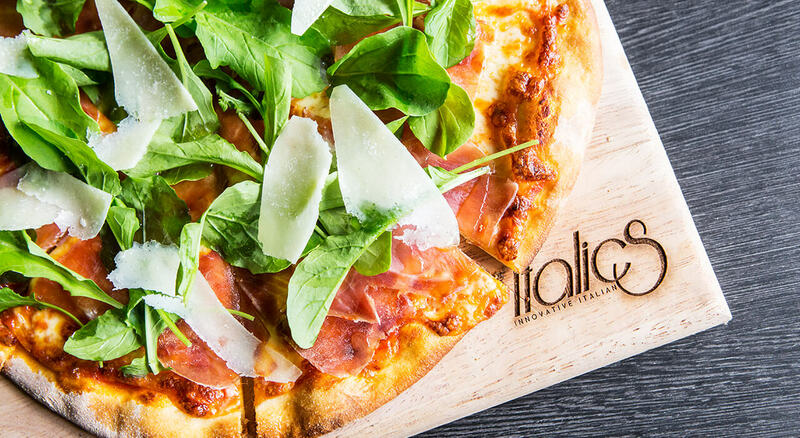 Italics custom-made wood-fired oven produces delicious thin-crust and crispy pizzas in the southern Italian style, arriving at the table piping hot and wafting in aromas. Chef Base promises that everything is homemade for each order and guarantees the freshest of the fresh. His absolute favourite pizza is the four cheese pizza using only Thai-made cheeses – blue cheese, goat’s cheese, ricotta and mozzarella. With the most innovative and cutting-edge concept, Italics is all about locally-sourced, high-quality ingredients being transformed into next-level Italian cuisine that deconstructs and re imagines classic dishes. The restaurant promises interactive, innovative Italian showcasing local products and growers in an artisanal style and upscale ambience, with a culinary philosophy well-shaped. In terms of innovation it’s not just down to the creative process but to carefully hand picking the finest ingredients, technique and managing the kitchen so that all the elements come together in exciting new combinations to amaze even the most sophisticated palate.